Celebrate National Coffee Day This Saturday! Celebrate National Coffee Day This Saturday! Saturday is National Coffee Day! Here are a few ways to celebrate. Despite daily long lines at Starbucks, Dunkin’ Donuts, and the corner deli, National Coffee Day comes around but once a year on September 29th. This is a day to celebrate this hot beverage and the joy it brings to those across the nation. 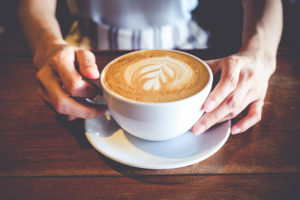 On this day, people not only take the time to enjoy their favorite brand of coffee, but also many different types of businesses offer discounted or free cups of coffee to their customers. We’ve rounded up some great ways in which you can celebrate this day! Try a coffee-inspired dish. What’s a celebration without food? Whether you’re craving an indulgent chocolate dessert, game-day snacks, a spiced fall pie, or tangy side dishes, coffee can be incorporated into almost any meal. A quick Google search will have you trying out new recipes with coffee in no time. Arrange a coffee-themed day in the office. Enjoy coffee or coffee-flavored food and beverages all day long in the office! Not only will you be celebrating the day, but you may even be more productive when you’re buzzing on caffeine. Host a coffee tasting. Visit a coffee expert (or a specialized coffee shop) to learn about the art and science of growing and brewing coffee. Try a sample of different coffees so that you can learn about the notes and distinctive flavors of the beans. Check out the cool offers brewing in your local stores. Many coffee shops offer free or discounted coffee on its national day. Take advantage of this by popping into a local store and picking up your favorite cup of joe. Try a new brew. Do you typically drink lattes? Maybe try black coffee. Normally opt for black tea? Mix it up with a cold brew! Add some flavored syrups or spices, like cinnamon, for a hint of sweetness. There are plenty of ways to switch up your routine. Celebrate coffee culture! Call up an old friend and chat over a cup of coffee. Have some quality time with the family over a fresh pot of your favorite blend. Set up meetings with your colleagues at the local coffee house and enjoy the brewing atmosphere! From the insurance professionals at Abbate Insurance, we hope that you enjoy National Coffee Day!